"Diablo is a game that is very dear to my heart, as it was one of the first series that I played through with my boyfriend. I enjoyed these games so much, and out of all the characters Tyrael always stood out to me. I had him on my cosplay dream list, as in something that I never thought I would be able to attempt, but my boy encouraged me to challenge myself and bought me my first roll of Worbla. 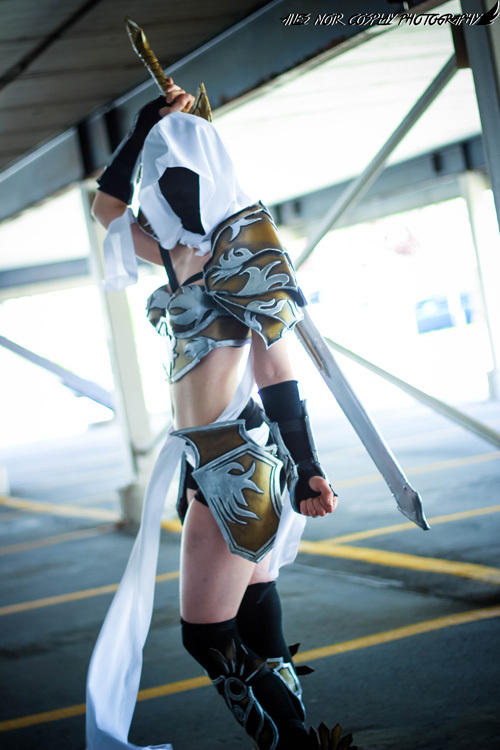 After watching and reading hours worth of tutorials, I set out on a 200+ hour project that would end in this cosplay. I�m so proud of this costume it�s not even funny. I plan on fixing it up and wearing it again in the future, but I like the design. I altered it to be more feminine, but still tried to keep to his design. 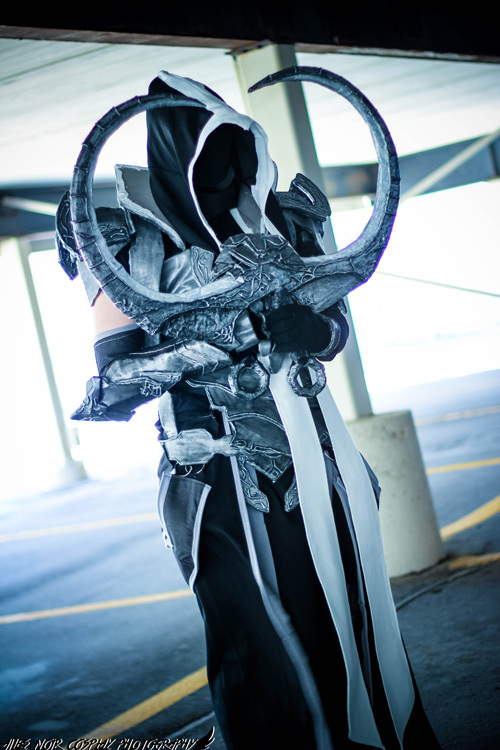 It was a nice surprise when my friend Jack Of All Cosplay showed up in his Malthael cosplay. The shots are great, as usual with Ailes Noir, am I right?"